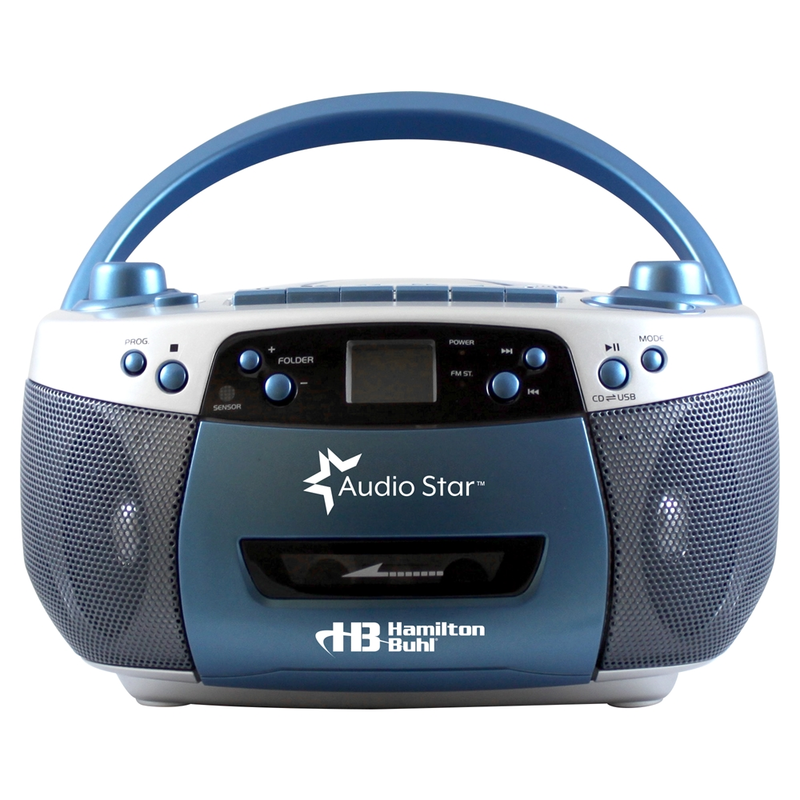 The AudioStar™ from HamiltonBuhl is a unique boombox that plays everything from old technology like radio and cassette tapes to the latest including CDs and MP3 files on CD or USB stick. And now, it has a built-in tape and CD-to-MP3 converter allowing you to convert all your tapes and CDs to MP3 files and record them onto a USB flash drive without a computer! While playing a tape or CD, simply insert a USB flash drive into the USB slot, press the "record" button and AudioStar™ will automatically convert it to an MP3 file and record it on to the USB stick. It's that easy! 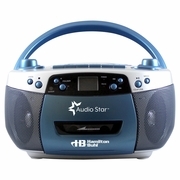 Featuring programmable CD player with repeat play, dual power AC or batteries, cassette player/recorder with ability to record from CD or radio to a cassette tape, tape and CD-to-MP3 converter and it's exclusive set of six 3.5mm headphone jacks, the AudioStar™ is a powerhouse unit making it an excellent choice for classroom listening centers. Just add headphones and you are set! Designed and built to withstand the rigors of classroom use while providing high quality sound with incredible versatility, the AudioStar™ is a must have in all today's classrooms!